"Whip It" was released in 1980 by the Synthpop band Devo. It appears on the album Freedom of Choice. There were two 7" single releases of "Whip It", one backed with a remix of the track "Snowball" (which appears on "Freedom of Choice") and one backed with "Turn Around". 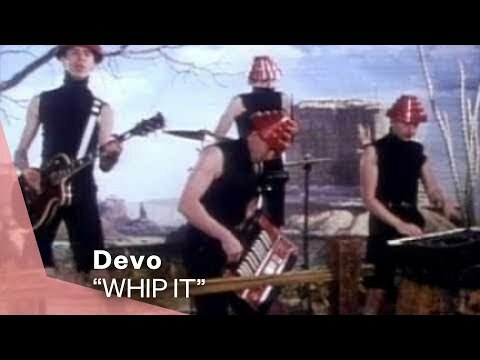 "Whip It" was Devo's biggest hit, and peaked at #14 on the Billboard Hot 100 chart and at #3 in Canada in 1980.